Over the years Chandolin has been a muse to poets, a stopover for travellers, a destination for distinguished guests – and its magnificence remains undiminished. With its sun-drenched location high in the mountains, it is a destination full of charm for all those seeking peace and quiet among the Swiss pines and larches. 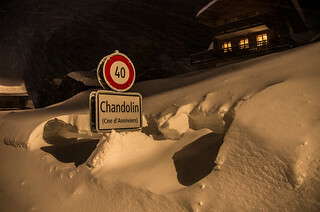 Chandolin is one of the highest villages in Europe that are inhabited all year round. It gets a lot of sunshine and its height means it catches the last rays in the evenings. Long the favourite destination of some illustrious visitors, Chandolin has welcomed such well-known figures as Ella Maillart, René-Pierre, Edmond and Corinna Bille, Konrad Adenauer, Ferdinand von Zeppelin and Edouard Ravel. It is the ideal destination for those seeking peace and quiet and to recharge their batteries at an altitude of 2000 m.